HONG KONG, Feb, 11 2019 - (ACN Newswire) - Hong Kong superstar Leon Lai has once again accepted the invitation of the Hong Kong Trade Development Council (HKTDC) to be the Ambassador for the annual Entertainment Expo (EE), which celebrates its 15th edition in 2019. Following a viral tongue-twister promotional video, Mr Lai decided to take up the challenge again by introducing a video showing the EE's eight events in reverse. The video ends with the slogan "Be Sure to Know the Schedule by Heart" as Mr Lai invites the public to take part in this annual industry extravaganza and give their support to Hong Kong's entertainment industry. 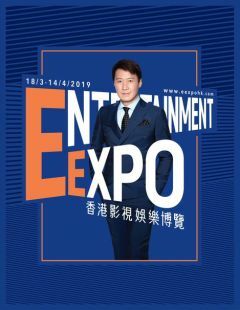 "As a long-standing member of the local entertainment industry, I'm happy to serve as the Entertainment Expo's Ambassador once again," said Mr Lai. "The expo is a great annual event and I encourage everyone to join me in supporting all the different activities this year."